Expected to ship on or about 05/11/19. Buy 36 or more for $6.64 each. Volume two in a collection of tales representing distinctive genres- from fairy tales to erotica-revealing the customs and societies in the medieval Middle East, as told by the mythic Sheherazade. 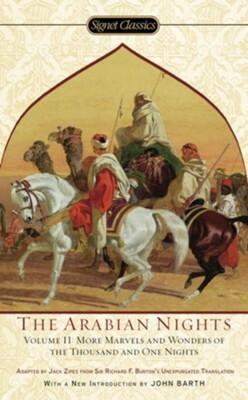 I'm the author/artist and I want to review The Arabian Nights, Volume II: More Marvels and Wonders of the Thousand and One Nights.